Awkward. Lubbock. Queer. has been designed to both explore and perform the confusing, complex, disjointed and connected nature of homosexuality and Lubbock, Texas. Rather than attempting to create a codified linear script, we have decided to utilize a hypertext format. The information collected and created is not restricted to one accessible avenue; rather, the information is presented as a multiple-dimensional crossroads. The traveler (or reader or performer) may navigate the information in any manner desirable through links embedded in the texts, possibly creating repetitions, dead-ends, or extreme tangents that could lead to the "outside" world. Ideally, A.L.Q. could never have identical performances. All texts, images, and websites linked to should be considered performable. Ideally, A.L.Q. is also expandable and should always be seen as a work in progress. Anyone wishing to contribute to A.L.Q. should contact Margie Pignataro directly. A list of questions contributors answered can be found HERE. Please feel free to answer those questions or write (or send images) anything you wish. The pages of information that follow contain quotes from residents of Lubbock, Texas, gathered by surveys asking all sorts of questions about sexuality and the culture of Lubbock. In addition, there are scenes, sketches, monologues and other forms of information about gay/lesbian/bisexual/transgender/queer people throughout history. We have attempted to pick stories about individuals who have some sort of connection to the Lubbock testimonies, even if it is less than apparent. 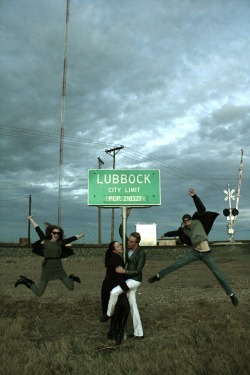 It is not our intention to attain absolute conclusions or definitive statements about homosexuality or Lubbock. Rather, we wish to offer titillating juxtapositions, provocative parallels, and perhaps shocking suggestions of connections.